You are here: Home / Breastfeeding and postpartum care / Could you use a naturopath? A lot of people I talk to have no idea what I do, or how it might be relevant to their life and health. They aren’t sure what naturopathy is and/or why they would see someone like me. That’s fair enough. If you haven’t experienced it before, holistic medicine can seem a bit weird. Why talk to me about my digestion when I came in to treat sinus pain? How can the food I’m eating be affecting my sleep? 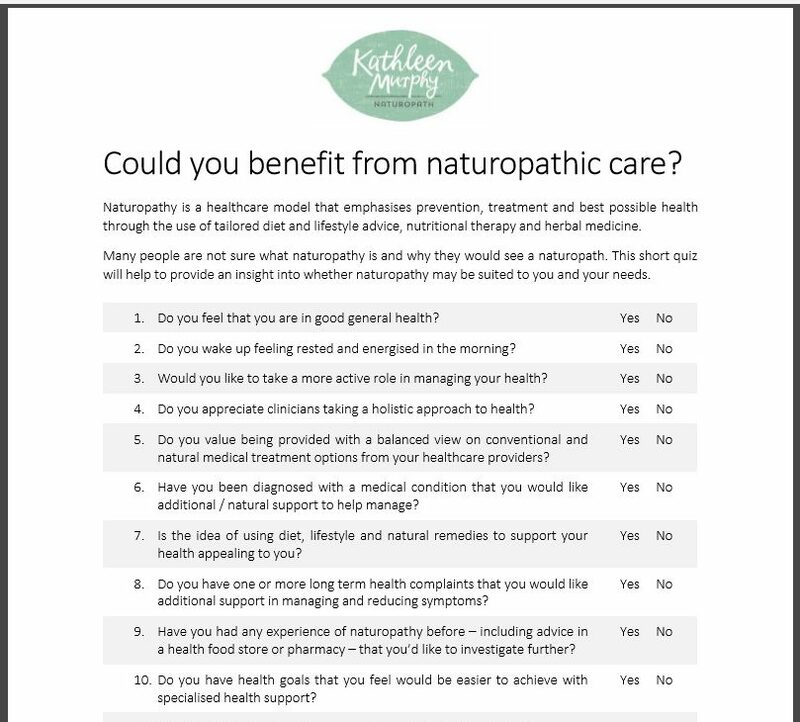 To help provide an insight into naturopathy and how it may be suited to you and your needs, I’ve developed this nifty survey. It shouldn’t take you longer than five minutes to complete. These questions will get you thinking about your health and how you manage it. See how you go! Open or download the full survey by clicking this image.